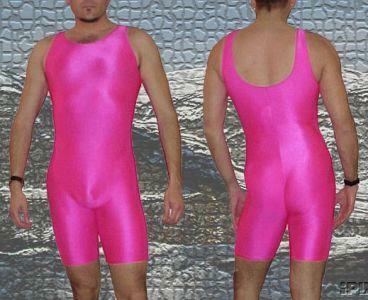 This pink Gilda Marx Breathables unitard I won at an eBay auction in 2003. Seller was txdude2000, and it was given this description at the auction: Excellent stand out Gilda Marx Breathables Bodywear. Size is Medium. I am 6 tall and 175lbs and fits great. It is made of Antron, Nylon, Lycra, and Spandex. It is used but in great condition.